NCTJ publish list of 238 ‘most respected journalists’ but what about the red tops? A 238-strong list of the “most respected journalists”, as nominated by their peers, includes only 20 sports journalists – and is extremely lean on representation from the red tops. Published by national training body the NCTJ, the list is the result of a survey in which journalists who are working in the UK nominated who they most respect in the media. The survey was carried out earlier this year as part of the NCTJ’s Journalists at Work 2018 initiative. Those taking part were asked which living journalist they felt most embodies the values of journalism that they respect and adhere to. 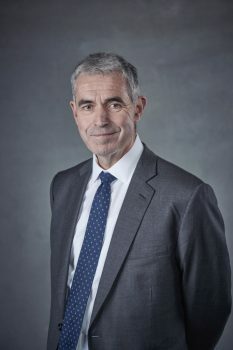 Ian Hargreaves, professor of digital economy at Cardiff University, who chaired the Journalists at Work research, said: “Journalists see colleagues all around them whose commitment to the right values they admire and respect. What’s striking is that the range of individual journalists who embody these values is so broad and so varied. This suggests to me that values-based journalism is thriving in these turbulent times. Among the noted sports names on the list are SJA football journalist and sports writer of the year Danny Taylor (Guardian) pictured above. Other names include Jason Burt (Telegraph), Andy Cairns (Sky Sports News), pictured right, David Conn (Guardian), Richard Conway (BBC), Paul Hayward (Telegraph), Keith James (Sky Sports), Matt Lawton (Daily Mail), Hugh McIlvanney (former sports writer), Jonathan Northcroft (Sunday Times), Dan Roan (BBC), Barney Ronay (Guardian), Martin Samuel (Daily Mail), Kaveh Solhekol (Sky Sports), Bryan Swanson (Sky Sports News), Matthew Syed (Times), Daniel Taylor (Guardian), Martin Tyler (Sky Sports), Dan Walker (BBC), David Walsh (Sunday Times), Henry Winter (The Times). As well as well-known names of broadcasters and national newspapers, reporters from local and regional press, magazines and independent publications are also included in a list that stretches from the New York Times to the Bishop’s Stortford Independent. So who should have been included in the list?